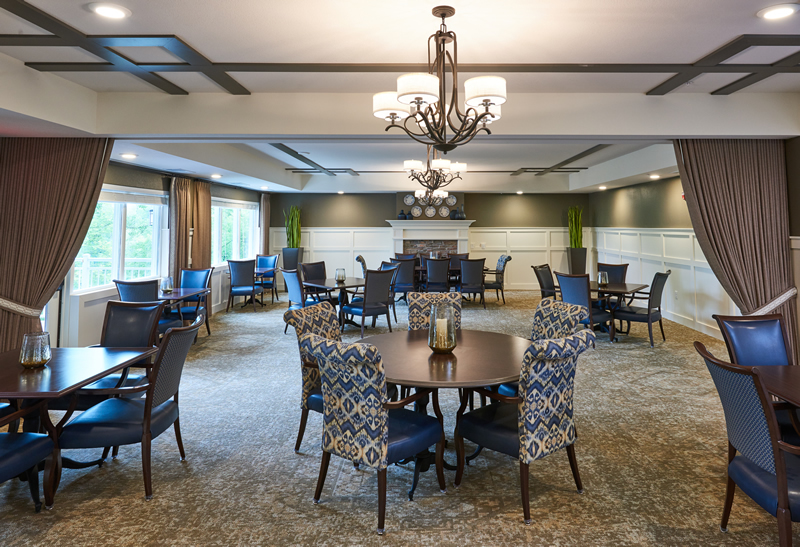 Cherrywood Pointe of Roseville | L&M Associates, LTD.
Cherrywood Pointe of Roseville at Lexington is the latest new senior housing project designed by L&M. 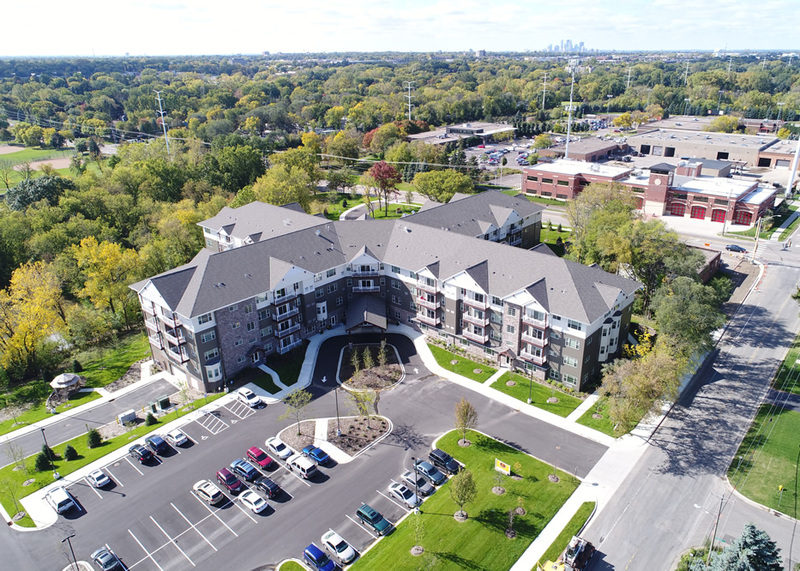 This four story “ground up” project opened in July, 2017. 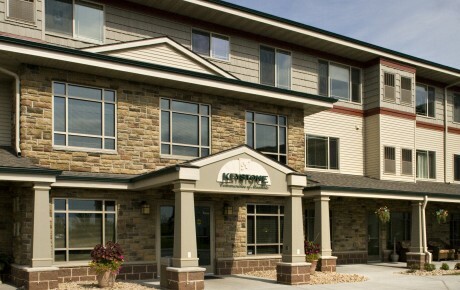 Its unique design features two main entrances with a large common atrium. 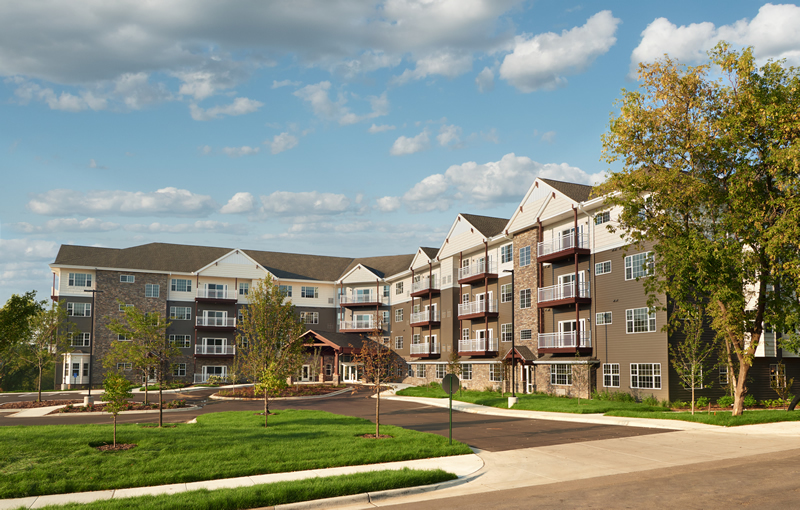 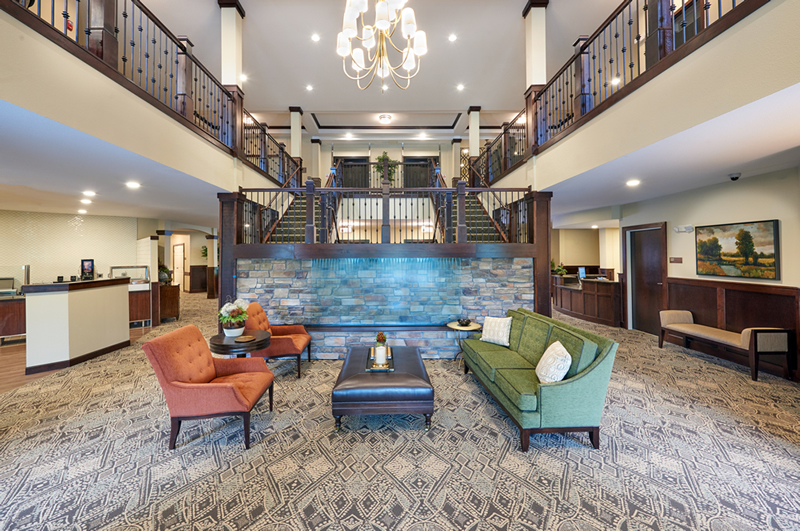 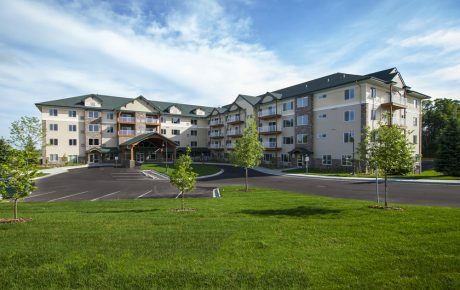 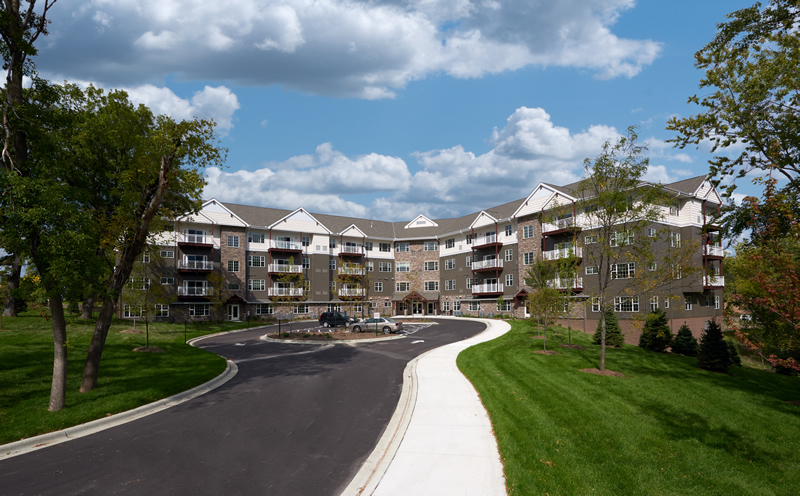 The four-story building has 116 Independent Living, Assisted Living, Memory Care and Care Suite Units along with both surface and underground parking. 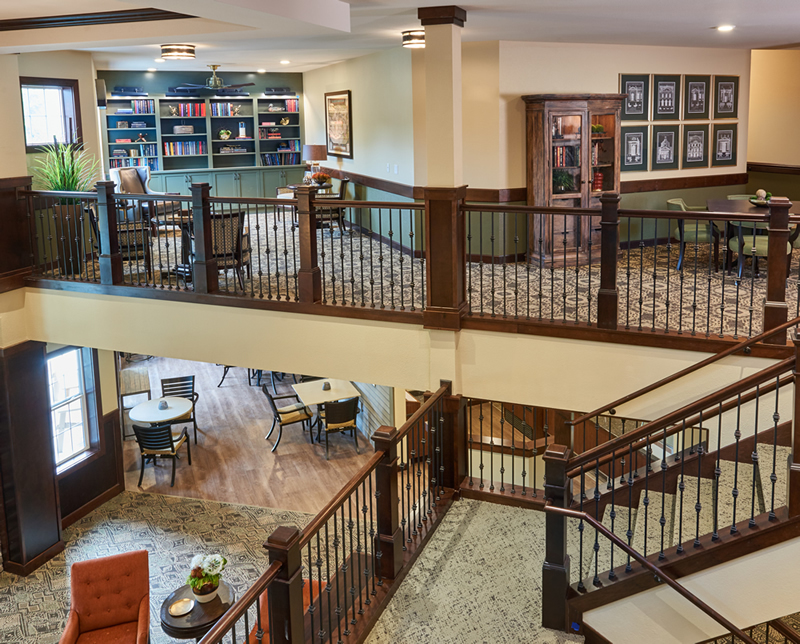 Common areas include a large Commercial Kitchen and Dining Room, a Community Room, Library, Theater, Hair Salon and Chapel. 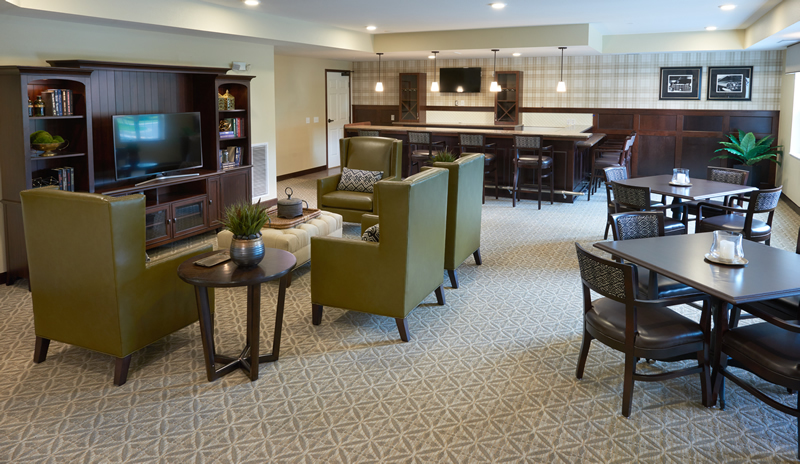 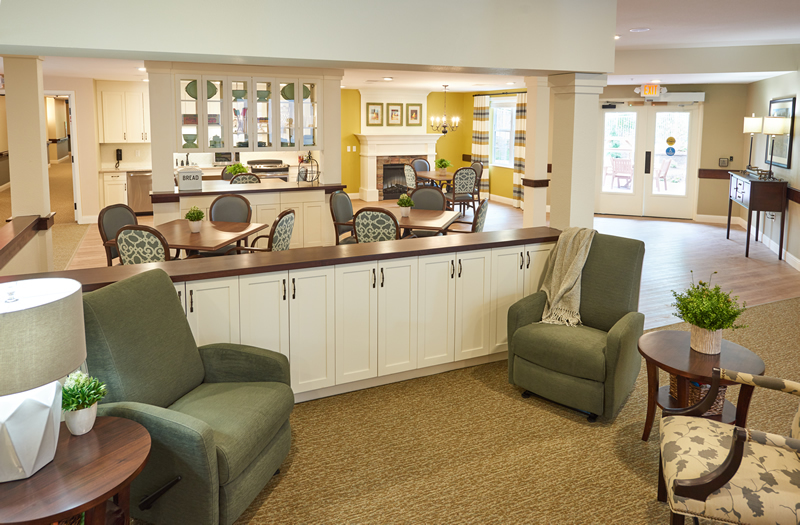 The warm and friendly environment is designed with careful sensitivity to the needs and desires of senior citizens including appropriate lighting levels, walking surfaces and accessibility.